Cultural Collaborations in new Constellations and Independent Cultural Platforms. A meeting between between artists and cultural organisations from Sweden and West Africa. How do we develop an independent cultural platform? Denis Viart, Counsellor for Cultural Cooperation of the French embassy, Sweden. How can we develop an independent cultural platform? In a talk between artists and culture workers from Sweden, Mali and Nigeria we will discuss the conditions of cultural collaborations. What type of experiences do we have, and how do we develop a sustainable collaboration? What do we want to do in the future? The participants will share their own experiences from different projects and collaborations, together with representatives from cultural institutions. Culture is a fundamental part of a society, and a fundamental factor in the development of a country. But culture is fragile when faced with economical, and political realities. If a society lacks stability, or an economical and political will, it is difficult for a culture to grow, and to develop freely. But: in places where culture is endorsed and given support, areas can flourish in ways that reaches far beyond the boundaries of art. The fact that economically strong countries like Sweden support developing countries, and regions with scarce resources is for many people something axiomatic. But, it is a support that rarely focuses on culture. We know that anti-poverty programmes are necessary, but what other processes in a country are also important to support? A somewhat different view seems to be in practice in countries like France and Germany, where cultural support is broad all over the world. This type of commitment must also be discussed. As a receiver of such support one might be faced with conditions that are not always suitable for the indigenous context. How does one maintain an independence and integrity in such a situation? How can an independent cultural platform be developed? 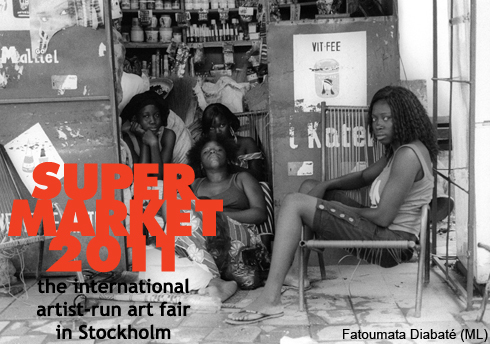 With the kind support from the Swedish Institute, the French Embassy, Stockholm and the non-profit organisation Afrikultur.